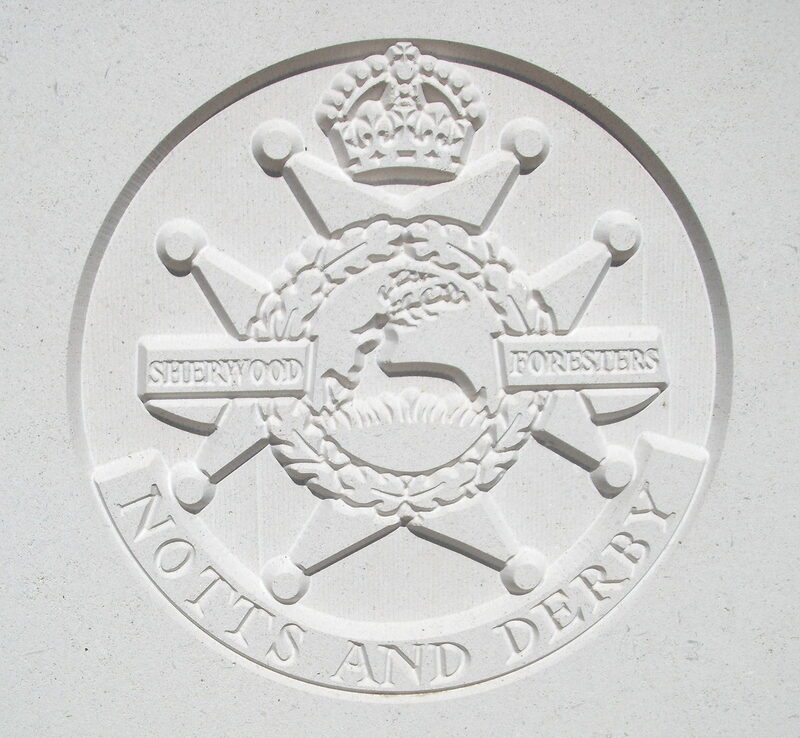 17th (Welbeck Rangers) Bn, Sherwood Foresters The (Nottinghamshire and Derbyshire Regiment), 117th Brigade, 39th Division, B.E.F. In September 1916, the Malvern News reported that: “Ernest Bird, formerly a Newland choir boy has been killed in France whilst being carried to the Ambulance.” Unfortunately no mention is made of with whom he served. The details shown above are those of a soldier who was killed close to this newspaper report. The Newland choirboys often came from many miles away and boarded, so it is not unlikely that someone who was born in Nottingham as the above man was, should be commemorated at Newland. The cemetery in which Ernest Bird is bured took its name from a communication trench, and was begun at the outset of the Battle of the Somme in 1916. It was used by units fighting on that front until the German withdrawal in February 1917 and was used again by fighting units from the end of March to July 1918, when the German advance brought the front line back to the Ancre. Knightsbridge Cemetery contains 548 First World War burials, 141 of them unidentified. The cemetery was designed by Sir Reginald Blomfield.